Another good year is about to end, and we would like to thank all our clients who were with us. We really enjoyed work with you this year. Your support always helps us to grow our business and professional skills from year to year. 2016 was a challenging period for us. Despite the support of existing M1 stores we were digging into new Magento 2 platform and migration of existing clients to M2. We hope that this Christmas will be for you a cheerful ending to the year and a great beginning to a happy new one! 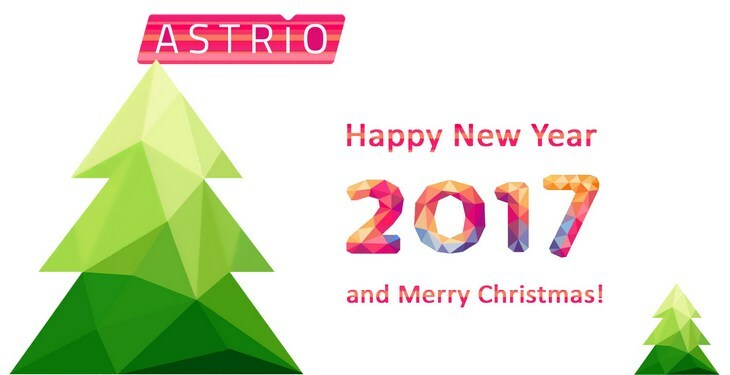 Best greeting from all ASTRIOnauts! Our Office will be closed from 30th December and re-open on 9th January 2017.